It got me thinking over what is it about Sherlock that resonates so strongly right now. I have a theory. Our culture is mired in relativism and uncertainty. These days, some of the most seemingly obvious facets of life are being questioned–what makes a man a man? Is that person a man or a woman? How do you know? These used to be easy questions, and pretty much everyone would answer the same way. Not anymore. Parents used to be able to make decisions for their families and feel comfortable. Now we’ve got moms worried they’ll be carted off jail for making a reasoned judgment about their children’s abilities and maturity level. Are colleges places for independent thought and free debate, or “safe spaces” where no one has to have their preconceived notions threatened? And let’s not even get into the confusing morass of our current political landscape, where all the options are bad, and making a moral vote appears almost impossible. We’re being taught in school that the opposite of a fact is an opinion, and that all moral statements are opinions–and therefore not worthy of debate. How can you debate opinions? And why bother? Why can’t we all just get along? Everything is reduced to emotions and feelings. People are unmoored. Nothing is certain, and nothing can be satisfactorily settled. It’s a little terrifying, when you stop and think about it… so most people, including me most of the time, prefer to just get on with daily life and ignore the lurking existential angst. And that’s what makes Sherlock Holmes so appealing. Not only does he offer a little literary escapism from the real world, but his stories offer an antidote to all this uncertainty. Sherlock uses straightforward observations and reason to make logical deductions, and actually solves serious crimes this way. No one needs to argue with him. To see something settled so cleanly feels remarkably like… relief. Why relief? Because, of course, we are human beings, not animals. We have been created with the gift of reason, to appreciate the order of the created universe, and to learn to understand it in order to appreciate the wisdom of its divine Creator. We are made to seek, to wish to know. So the lack of “knowing” that our culture has wrought is distinctly unnerving and unsatisfying. We need to recover our ability to make reasonable observations, make logical deductions, and come to conclusions–not just talk about our fears and our feelings. Emotions are valid, but they’re not everything. We need more than emotion to live virtuously and wisely. Being blown about by our emotions and passions will only lead to more unhappiness. But there is a Reality, which can be studied and understood. There are moral truths, and they matter to our immortal souls. Fortunately, they can be discovered by those brave enough, honest enough, and serious enough to seek them. 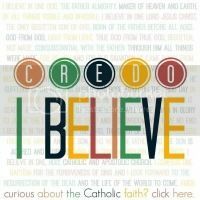 And hey, a nice thing about Catholicism is that is is uniquely resistant to “going with the flow.” It’s actually a good thing that changes comes slowly to the Church-it immunizes Her from the winds of philosophical fads. And thank goodness. Christian teachings are founded on a much stronger basis, both of revelation and of philosophy, than a lot of the nonsense being bandied about nowadays. So if you’re feeling confused and unsettled and lost in the winds of social outrage over something or other, read some Aquinas or Augustine or heck, even Aristotle. 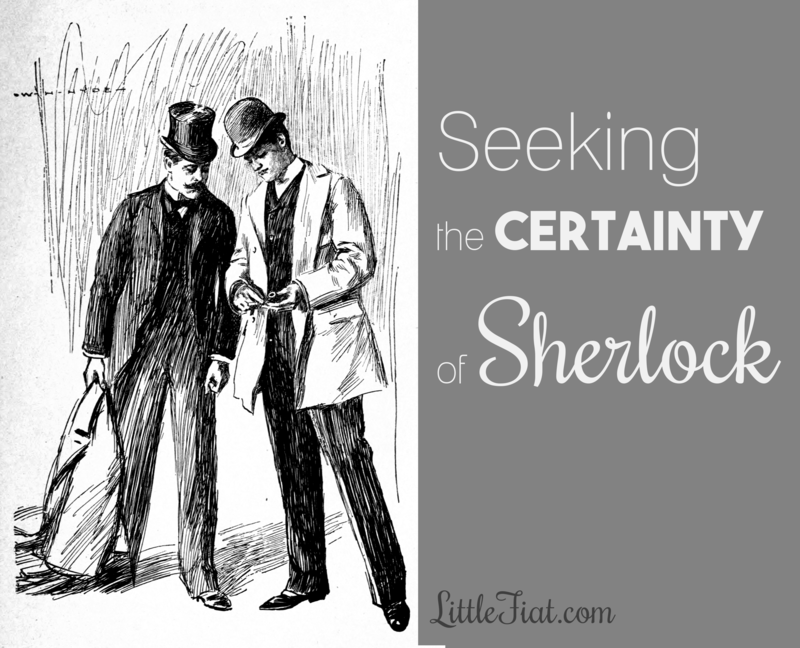 Or if you’re feeling a little less heavy… maybe some Sherlock Holmes. Nice reflection. I love Sherlock. My husband wants to name our puppy Sherlock but I don’t love puppy that much. Nice reflection. I love Sherlock. My husband wants to name our puppy Sherlock but I don’t love the name that much. Oh I really enjoyed this Jessica! It’s my first time on your site (I love your tag line!) I do enjoy all the recent Sherlock franchises and I hope reason and logic make a comeback! I suppose that’s one reason I like a classical education so much! Thank you so much, Sterling! My two boys are still too young for school, but I am very intrigued by classical education, too. There’s a classical Catholic school that’s fairly close to us, but at $8K a year, we’re looking at homeschooling instead!